Ice racing is hardly a spectator sport. 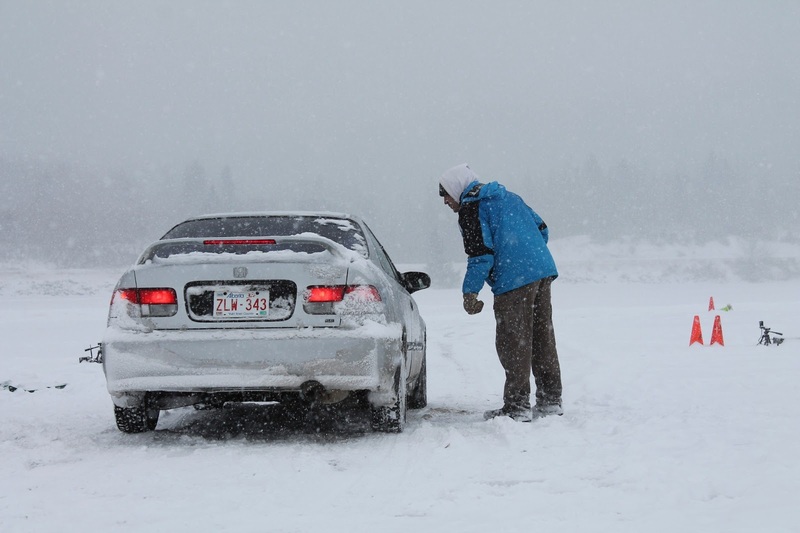 A winter storm warning was in effect during the Calgary Sports Car Club's final ICE Cup event of the season. The snow and wind was blinding without goggles and stands are nowhere to be found. Facilities consisted of a few tupperware containers full of radios and waivers and a lonely outhouse on the nearby island. 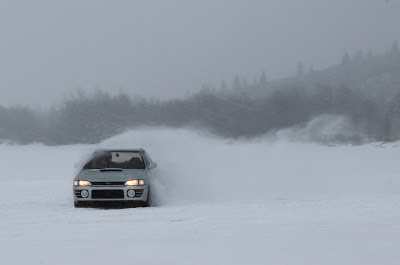 Field sports like soccer and hockey are great for the spectators, but winter rallying is a sport best experienced as a participant. While the first ICE Cup was held in (freezing cold) sunshine, this event was held in near whiteout conditions. The snowy conditions on the perfectly flat snow covered ice surface created an otherworldly environment. There was no horizon to be seen and cars simply faded in and out of view as they went around the course. The sound of their engines was the only clue they existed on the far corners of the track. This event featured a more open course than last time with a decent straight where some cars could really build up speed. The GC8 Subaru was by far the most popular car of choice. 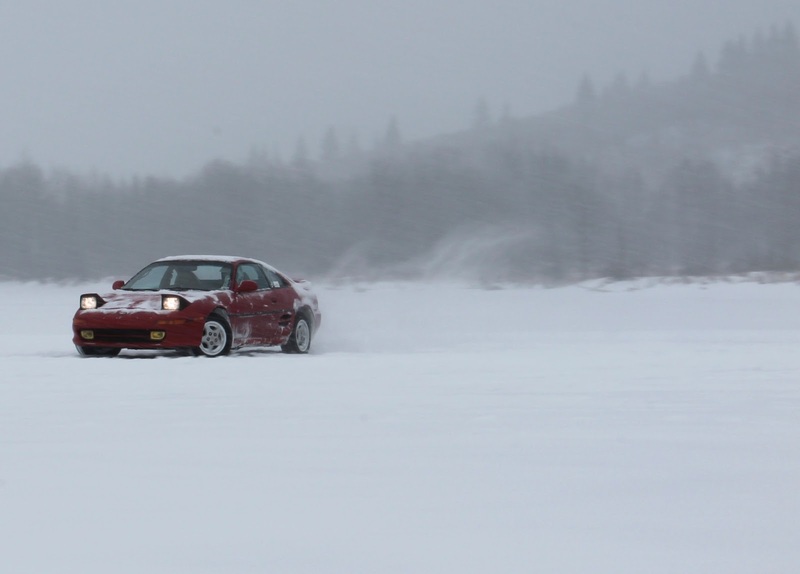 Their popularity is well earned as they were consistently some of the fastest cars on the ice that day. An upcoming feature on a JDM GC8 is in the works as soon as the Calgary roads clear up. 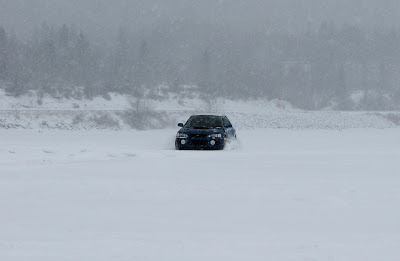 As was the case last time, ice racing remains one of the safest ways to enjoy your car in a competitive environment. 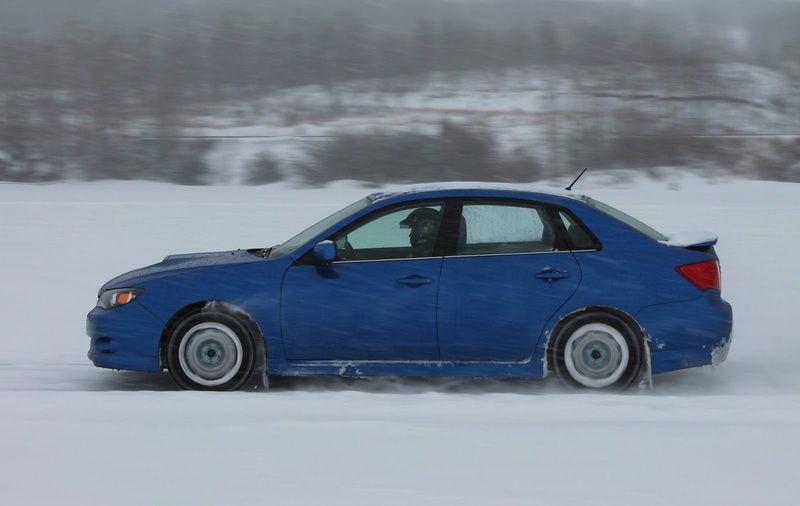 There are no trees to hit, no gravel to chip paint and it's hard to go through a set of tires when you're on ice! This event was the final ICE Cup of the season but it's an event we hope to visit again next year!